best jumper in the world? i definitely think so. 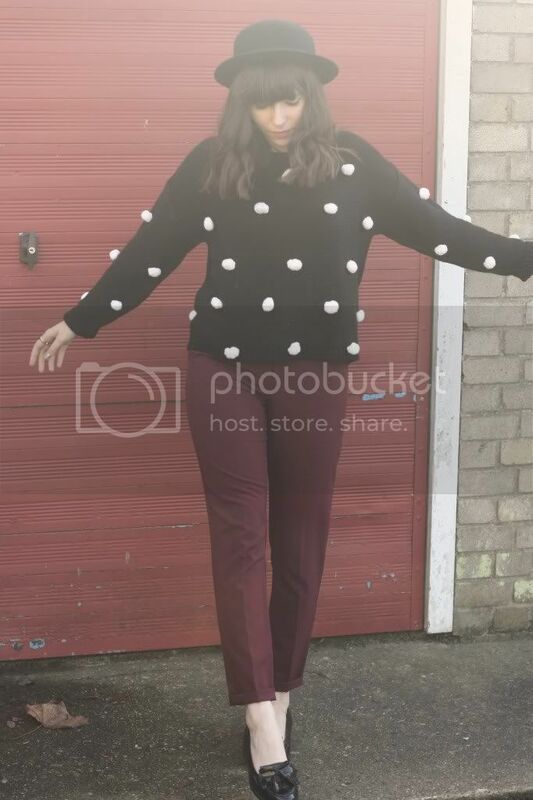 it's quite eye-catching and i definitely got a few looks in it, but i like to think it's because the jumper is way too cute. it looks like i'm wearing a plain black jumper, but have been rolling around in some cotton wool balls. paired it with something simple, aka these trousers and my favourite flat shoes. i can't stop buying jumpers, i must have bought about a dozen in the last few months (sorry bank balance). but when they're all this nice, it would be wrong of me to say no. right? Can't go wrong with a bit of knitwear... 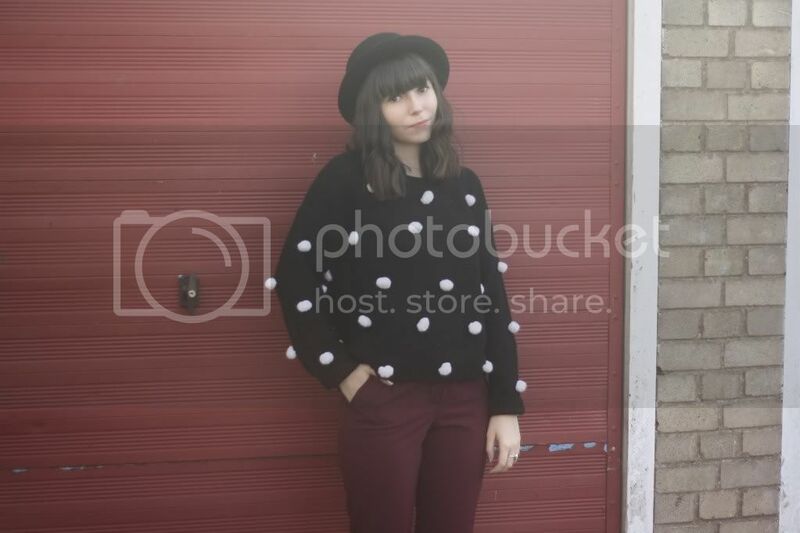 I'm so tempted to sew some of my own pom poms onto a jumper heehee! i can't describe how much I adore your blog and your style, so girlish and cute! And your trousers are so great. best jumper in the world for sure!!! love it! You look so lovely! The sweater is absolutely adorable! 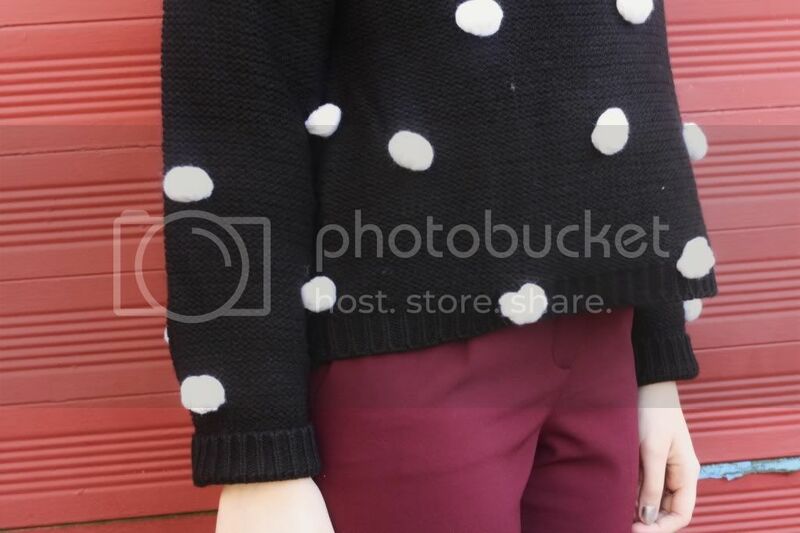 The pom pom detail is darling. And those trousers are so autumn perfect. So cute! Love the color of your pants! I love your jersey! 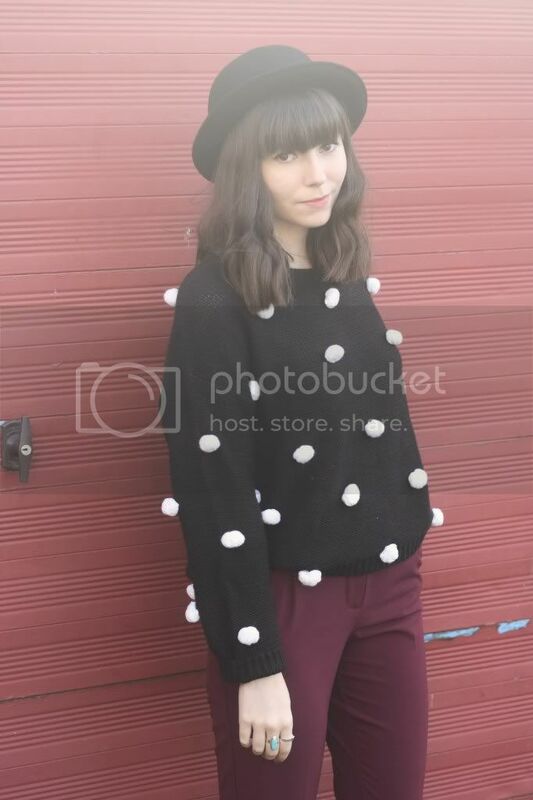 <3 Pom poms are so wonderful - I'm determined to DIY myself a pompom jersey! You have absolutely wonderful style! i am in love with your sweater!!! Love the jumper. And that trouser style really suits you. Adorable jumper - it is indeed the best jumper I've ever seen! Just discovered your blog, lovely to find a blog with reasonably priced clothing! You have great style! Such a fun top! I love the texture in it. It looks great with the purple trousers. I love that sweater! It's so adorable.